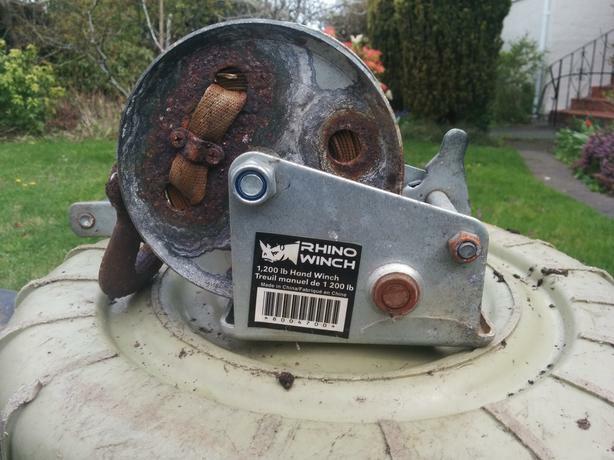 Boat Winch (Rhino) 1200 lb. capacity. 3 1/2" X 5" base, 2 " strap.